Robometricschool. 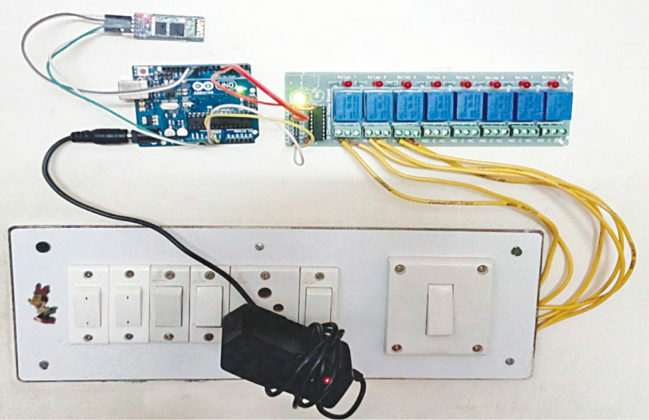 - This is one of the application of Arduino for building home automation system for you. It is seem be cool to build home automation system using Arduino and Android App and bluetooth system yourself. In here beside we will give you the description, circuit schematic, and some modele or component needed, we also will give you to you to read more about the complete project from other source. Accordingly Electronicsforu site that published this circuit describe that the home automation circuit is built around an Arduino Uno board, Bluetooth module HC-05 and a 3-channel relay board. The number of channels depends on the number of appliances you wish to control. 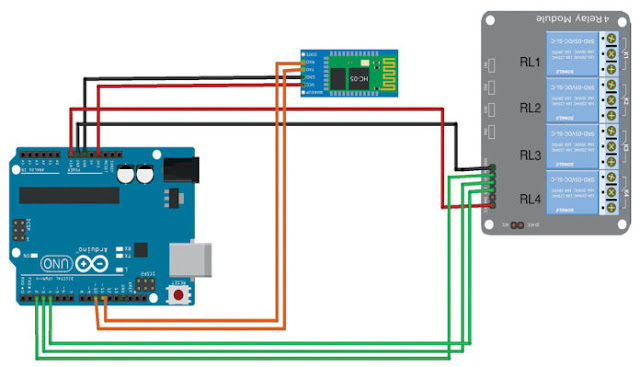 Arduino Uno is powered with a 12V DC adaptor/power source. The relay module and Bluetooth module can be, in turn, powered using a board power supply of Arduino Uno. Bluetooth module used in this project is HC-05, which supports master and slave mode serial communication (9600-115200 bps) SPP and UART interface. Using these features it can communicate with other Bluetooth-enabled devices like mobile phones, tablets and laptops. The module runs on 3.3V to 5V power supply. In this home automation project circuit, Pins 10 and 11 of Arduino are connected to pins TXD and RXD of the Bluetooth module, respectively.